Bowman Baseball is consistent and familiar. Very little changes from year to year. 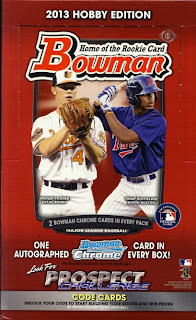 For 2013 Bowman Baseball, Dylan Bundy and Byron Buxton take center stage. If Bowman has been a part of your collection in the past, you will want to get in on this year’s set too. If you are new to Bowman, you will find this a nice set to put together. Bowman Baseball falls under our classification of trading cards. 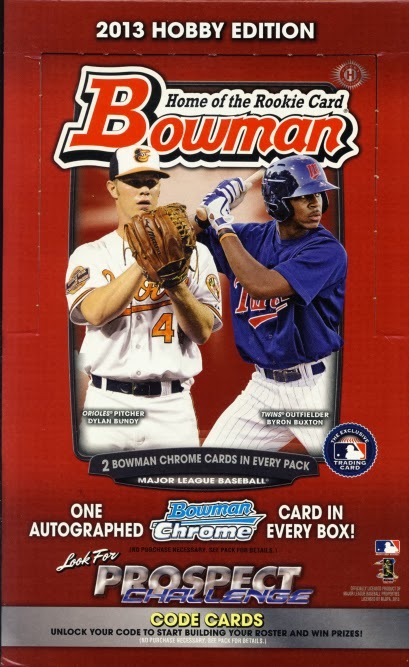 2013 Bowman Baseball can be found in a variety of retail and hobby configurations. This review is based on a hobby box that contains 24 – 10 card packs and features one autographed Bowman Chrome in every box.